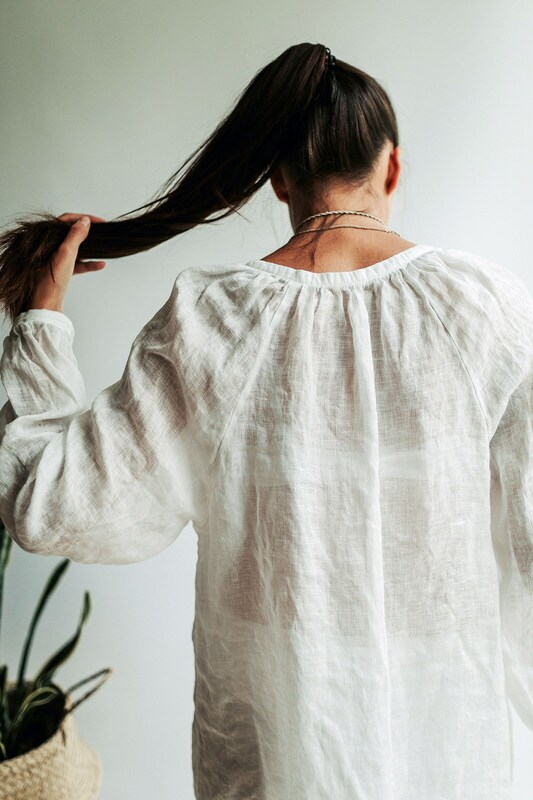 Sensual and airy. 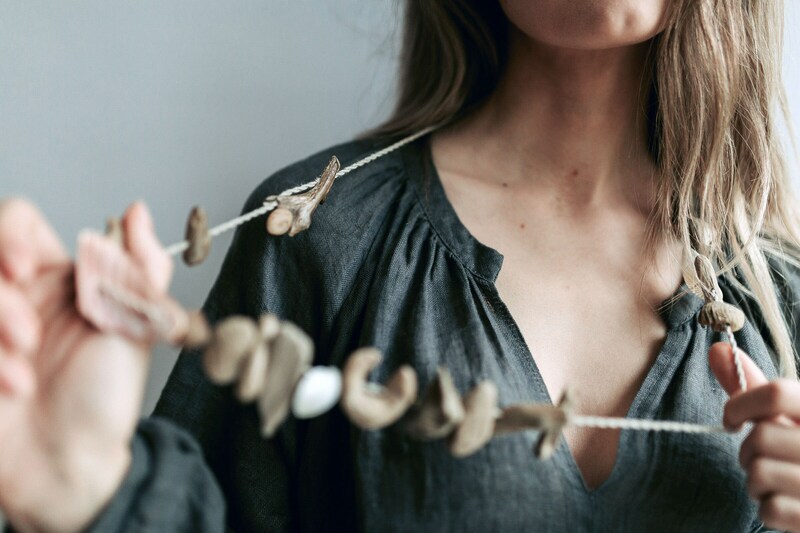 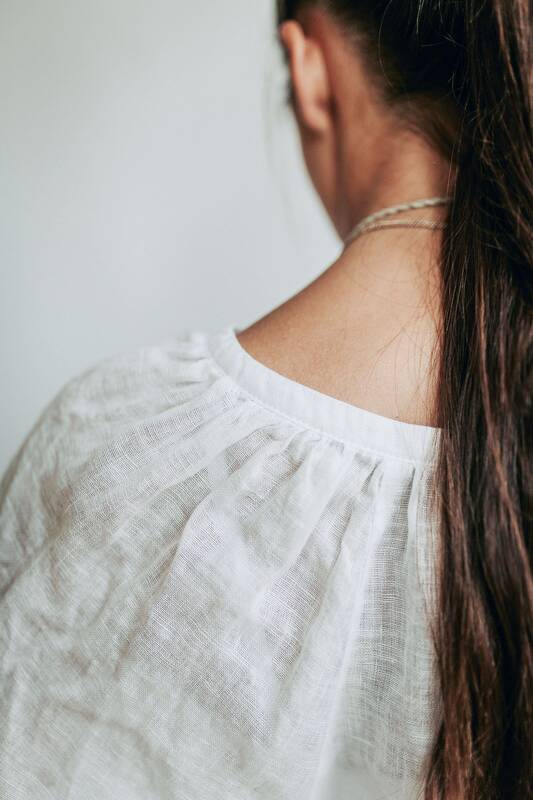 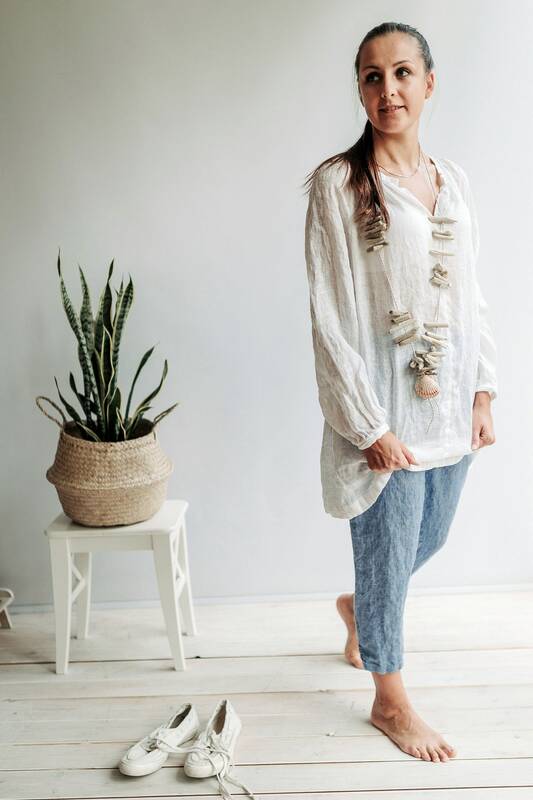 This light linen shirt is wonderful for hot summer days, milky evenings and dreamy nights. 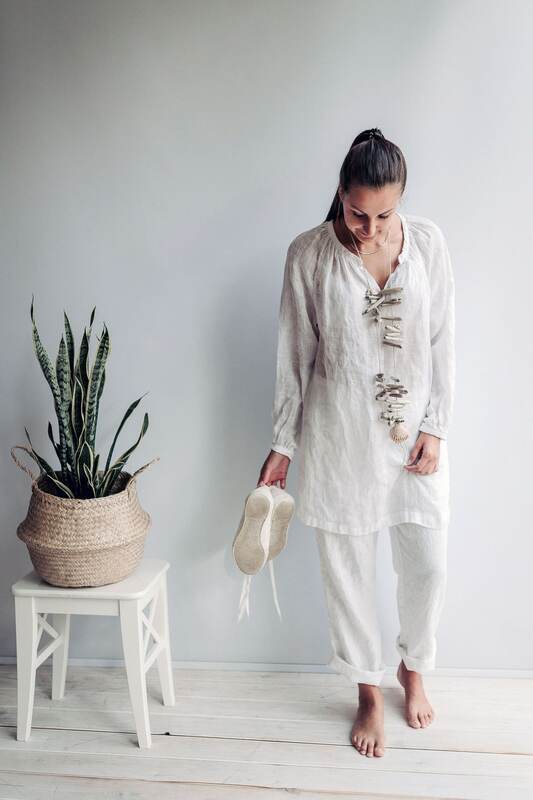 Made from light weight, pure linen with beautiful gather at cuffs and split neckline. 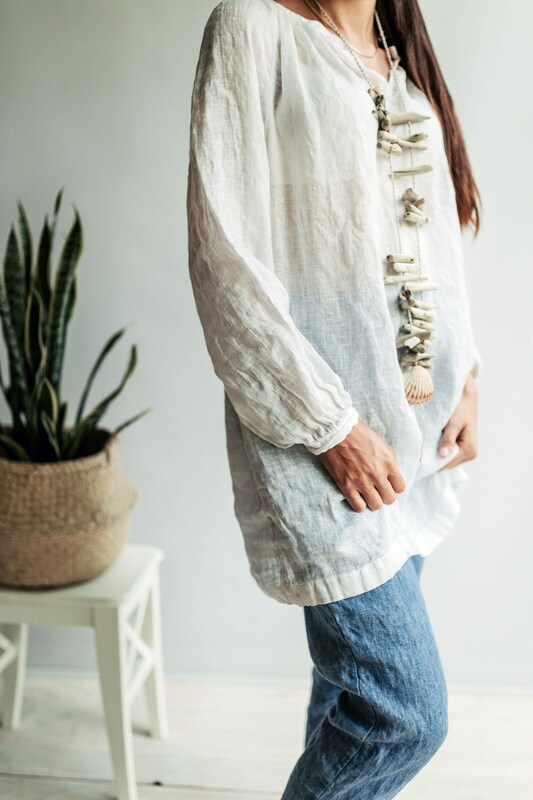 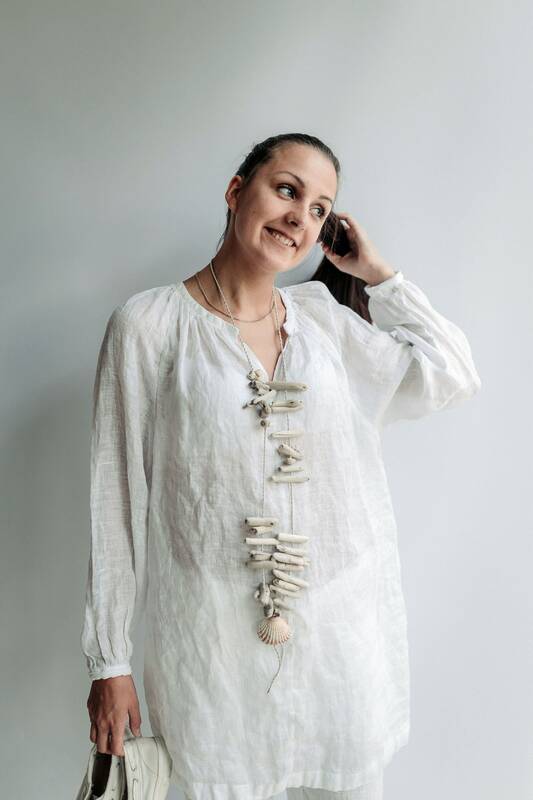 Long and sheer, this vintage inspired shirt tunic will be wonderful to wear as a cover up on the beach, after spa or if you want to wear it in more formal settings, styling with a vest and pants will make it a statement piece. 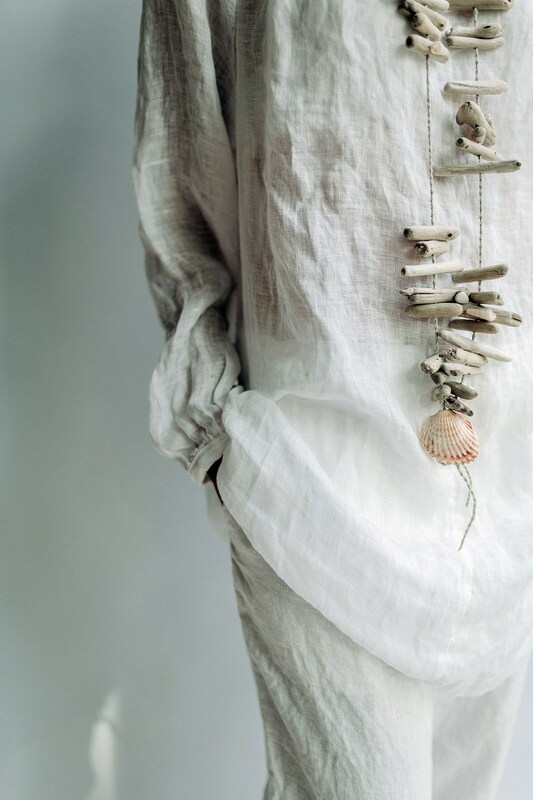 Each piece is individually cut, sawn and pre-washed. 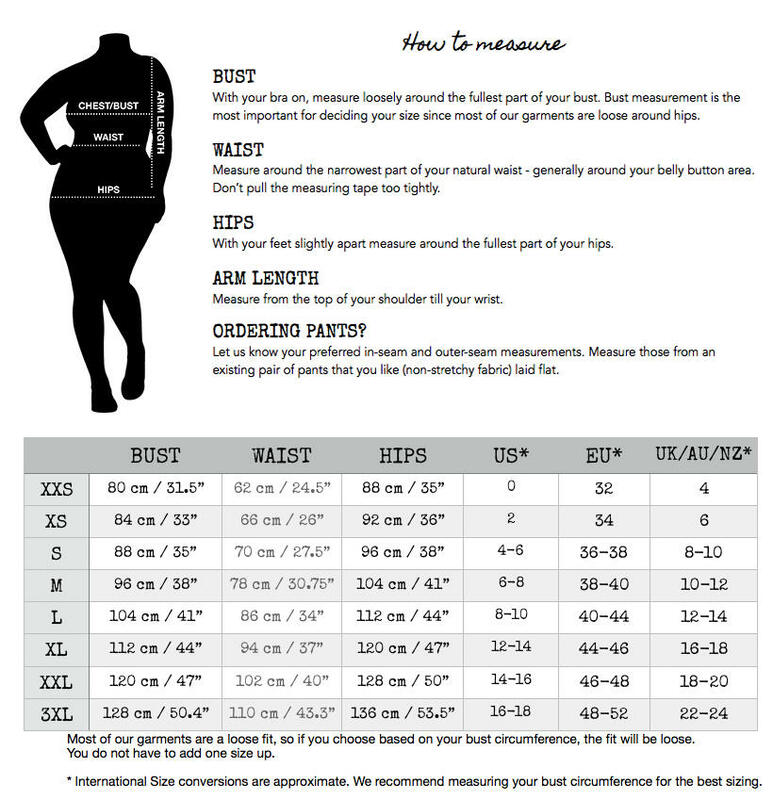 Let us know your height and bust circumference as well as, if possible, necessary sleeve length.